Before Li Guo could tell the story of one of Islam’s most impactful artists, he spent nearly 15 years translating and studying the man’s work. A professor of Arabic and director of Notre Dame’s Arabic and Middle Eastern Studies Program, Guo is the author of The Performing Arts of Medieval Islam: Shadow Play and Popular Poetry in Ibn Daniyal’s Mamluk Cairo, which won the 2015 Prize for Research from the Institut International De La Marionnette (IIM) in northern France. Guo’s book details the life and work of Ibn Daniyal, a 13th-century eye doctor who wrote a number of shadow plays—an ancient storytelling form involving flat puppets—depicting life in medieval Cairo. The plays are the only surviving Arabic theatrical texts from the pre-Ottoman era, and they offer new, rich details about urban life in Cairo. Essentially, the plays are an alternate depiction of the culture, Guo said, one that reveals the importance of art in Islam. “For the person who picks up this book simply out of curiosity, I hope it will make them rethink the common—and too simplistic—assumption of Islam’s aversion to all forms of art, including performance art and visual art,” Guo said. The IIM jury praised Guo’s book for the way it depicted life in Cairo and for offering one of the most comprehensive studies of Ibn Daniyal’s life. Lacking any conventional source material, Guo learned about Ibn Daniyal largely through the poetry and shadow plays the man wrote. And he was surprised by what he found. Ibn Daniyal has long been considered odd, and his work relatively lowbrow. But Guo discovered his subject had a mastery of classic Arabic, proving very capable of wordplay and injecting wit and humor into his work. That put him on par with the likes of Oscar Wilde, Guo said. Translating the shadow plays proved challenging, as they are written in classic Arabic but use the slang of the time. 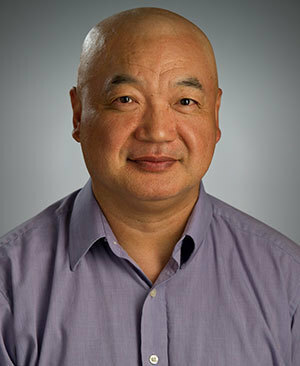 Guo was prepared for backlash over any mistakes in his translation, but instead he’s been grateful for the praise his work has received. Still, he doesn’t consider his job complete. This was only the first pass at translating an artist’s work. Originally published by Tom Lange at al.nd.edu on March 21, 2016.